Most drivers are concerned more about the engine, brakes and suspension when thinking about the dynamics of a truck, but what about the tires your vehicle operates on? The rubber on the tires of your truck are the only part of it that actually touch the ground — shouldn't you be concerned about those just as much? All-terrain tires are suited for performance on all types of surfaces. They have added grip for dirt, snow and wet pavement, but are engineered solidly enough for performance on smoothly paved roads as well. 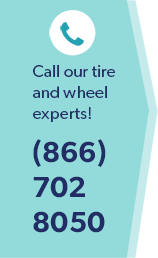 Performance tires are manufactured to give your truck the traction normally associated with a sport-sedan which is perfect for Northern Virginia motorists who keep their wheels on the pavement. These tires also enable better acceleration, braking and handling, but are not the best for off-road terrain. Highway tires are versatile enough for nearly every truck on the roads of Burke, VA. The highway tire provides great wear on pavement, traction on wet surfaces and have a reduced amount of noise. For more information on choosing the right tires for your truck, consult our tire experts at Wiygul Automotive Clinic today.